In general, the month of May is considered to be the time of love and new life. The May verdure used to be the symbol of energy and good growth. The most important place among plants belonged to the tree which in these circumstances was called the maypole. 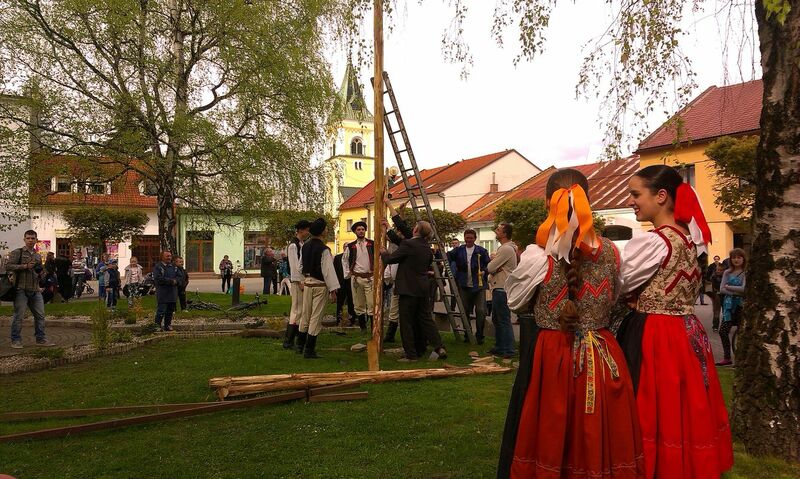 The maypole was usually put up by a young man for the girl he loved. 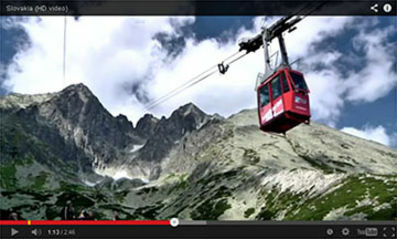 The custom is spread all over Slovakia. 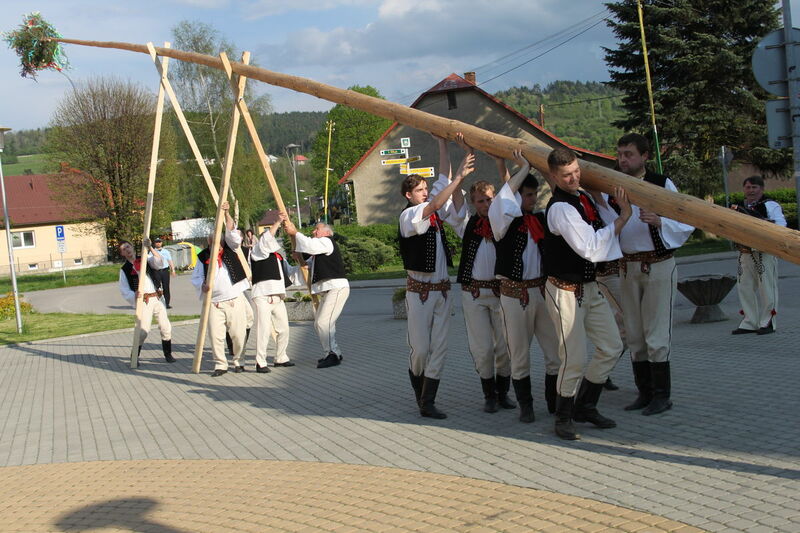 Mostly tall straight trees served as maypoles, especially firs and pines with their bark peeled off. Their tops were decorated with colourful ribbons. 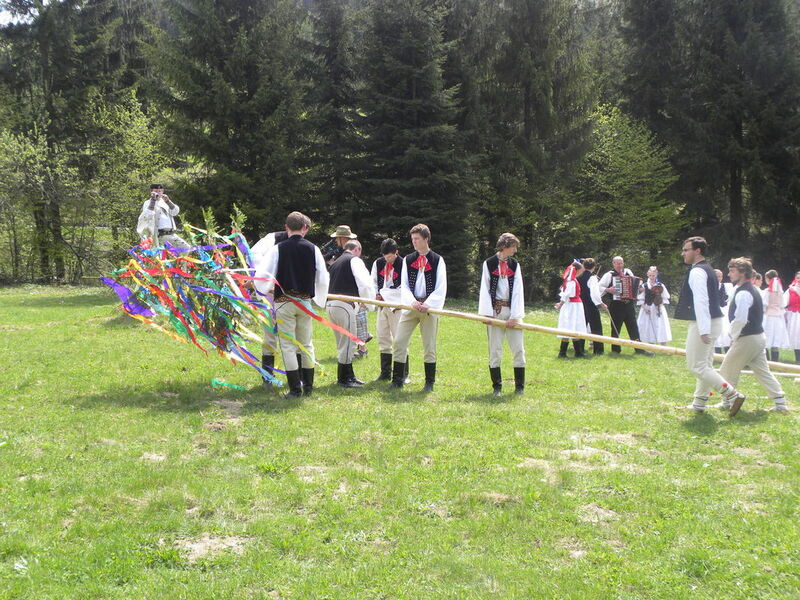 Maypoles were put up at night and on the next Sunday, the young men went round the houses with maypoles in front of them and they collected “fees” for the coming festivity - the may ball. The custom has been preserved till nowadays, though it is modified a little. 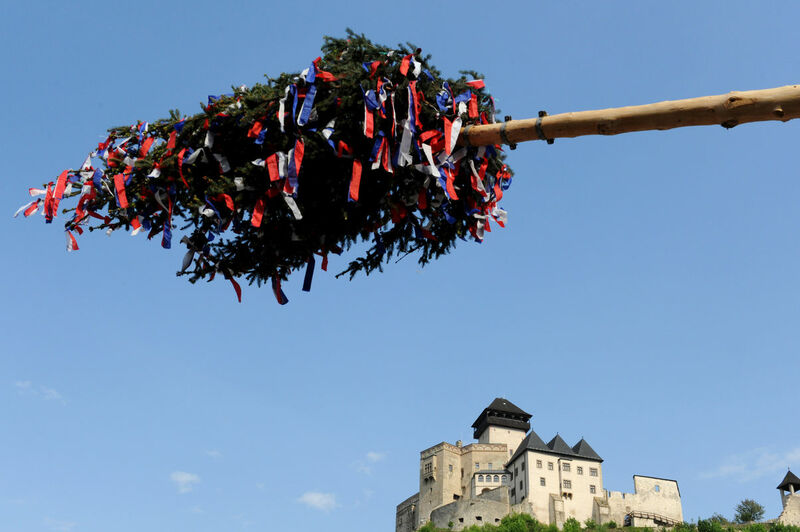 Usually only one decorated tree is put up in the middle of the village or the main square. 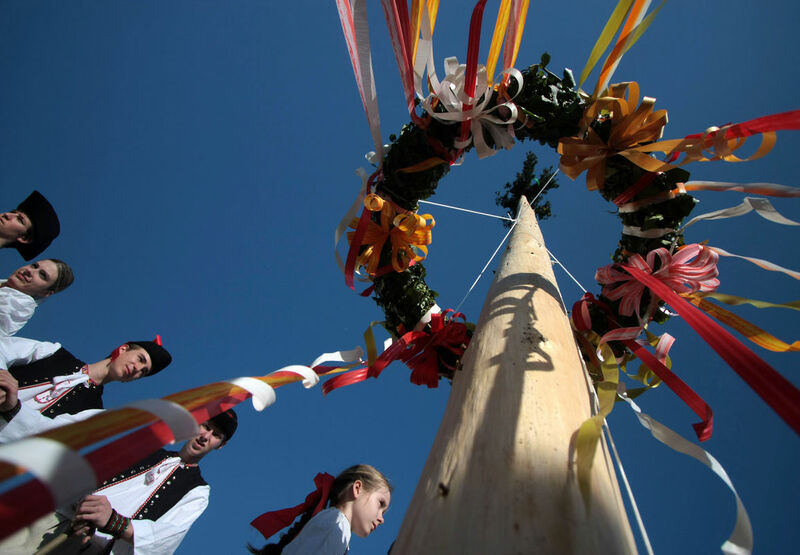 Once installed, maypole usually remains on site the entire month. 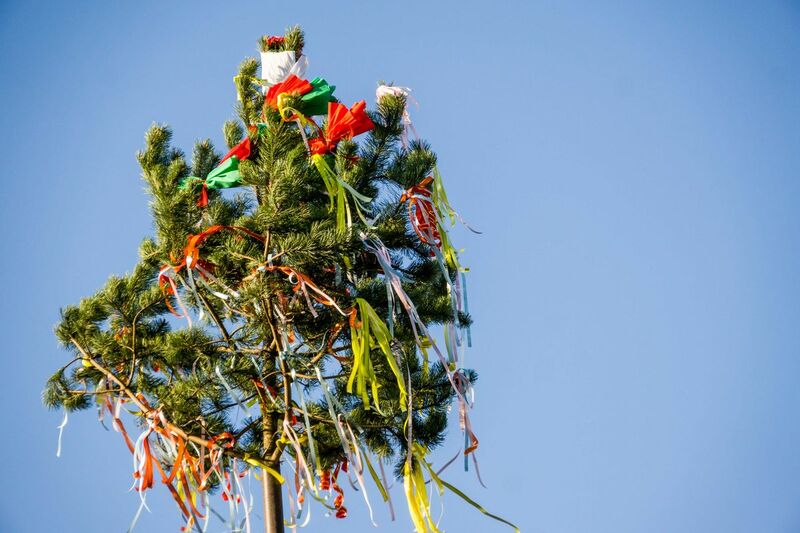 Yet another reason to party, maypoles are pulled down at particular celebration.